First, this post is not sponsored. It's doesn't contain any affiliate links. I don't even sell oils; I just purchase them through friends. So this post is really just to genuinely share how I use essential oils daily in our home. I've slowly been purchasing more & more and trying them out over the last 2.5 years, and now I can't really remember what I ever used before them! So here's a little list of our favorites and how I use them. I have all Doterra Oils, but have also dabbled with some of the Young Living ones as well. Frankincense (skin care) I use a drop of this along with my face lotion ever morning & night. I am always amazed at the effect it has on my skin! Helps keep it healthy and clear. I seriously feel like I'm glowing (even when I'm not pregnant) as soon as I put it on. It makes me feel far more confident about having no make-up days. This oil is quite a pricey one, but so worth it. By far, the best thing I ever added to my simple skin care routine! Lemongrass & Oregano (wart removal) Last summer, Liam got water warts on the back of his knees from all of our time spent at the pool (so gross, I know). And they are contagious when sharing towels, baths, etc. ; so yep, Finn got them too (double gross). We saw a dermatologist along with a variety of other doctors. Our only options were steroid creams (no thank you) or freezing them off (the boys would freak), so I was feeling rather helpless. Then our amazing pediatrician recommended oregano oil. I did my own research and also discovered that lemongrass was another good option. Both of these are "hot oils" so you have to dilute! I do two drops of lemongrass in their bath each night, and then I take a roller ball of coconut oil & oregano (only 2 drops of oregano oil for my 10mL bottle) to their water warts once they are out & dried off. It was has worked like magic! I was honestly shocked. Balance This is a "grounding" blend. But mostly, I just love the scent! It's my favorite! I diffuse this frequently (and if it happens to help keep the boys more balanced then yay). 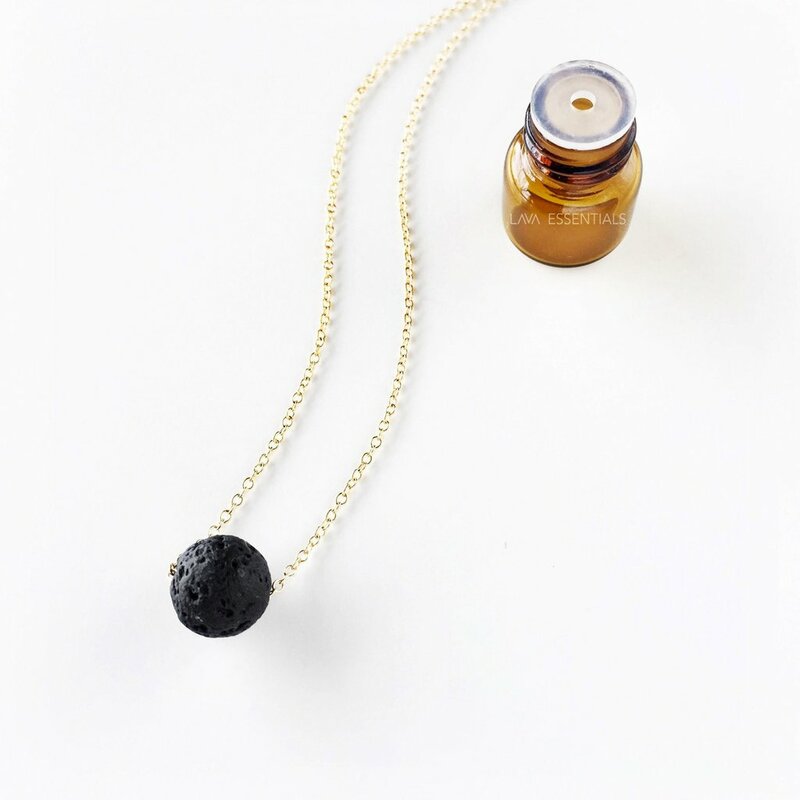 I also put a drop of this on my lava essentials necklace when I wear it. On Guard (sickness prevention) I'll diffuse this if someone in the house is sick, but I mostly use my rollerball. I put it on the boys feet if we're going to some super crowded public places (especially in winter) or before we fly on an airplane. I also apply it to them if they are sick just to help with any further illness; it can't hurt! Breathe & Eucalyptus (stuffiness) I use both of these in the diffuser at night if someone is particularly stuffed up. I will also use them in a rollerball and apply around our sinuses and under our nose to help with breathing. 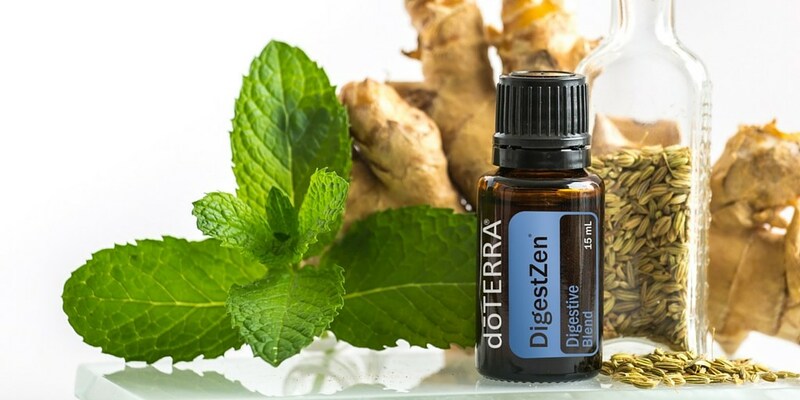 Digestzen (tummy aches) I rub this on our bellies whenever someone has a tummy ache. I use a drop along with some coconut oil. I've also used lemongrass for this same reason and had good results. Lavender I seriously use this for everything. Occasionally I'll diffuse it for nighttime, but mostly I just have a rollerball of it. We use it for burns & bug bites most frequently. It's just a great oil to have on hand. Lemon I diffuse this in our kitchen if it's stinky (after cooking fish or something like that), although I know that Purify can be a better option for that. I also have a rollerball of it that I use on my face if I feel a zit coming on. Peppermint (headaches) I have a rollerball of this on hand for any headaches. I find that it works best if I use it as soon as I'm getting a headache. If it's already really bad, the peppermint doesn't do much, and then I still need a painkiller. Sometimes I use both together. Wild Orange, Grapefruit, Etc. (fruits scents) I like to have a couple of these on hand. Sometimes just to throw in the diffuser for a pick me up. Sometimes I like to put a few drops on my wool dryer balls or in my dishwasher. The opportunities are endless. Now I would love to hear from you! What do you use oils for?! Share all your secrets. I'm especially interested in oils used during & after labor for mama & baby. Hope this was helpful! I use some of these too. My MIL got them for us. We love the lavender, peppermint, digestzen, and the one for stuffiness. Amazing oils! Love it!! I got a diffuser for my bday and have just been running theives in it. I need to mix it up..!! I'd love to get more on hand to use here and there. How many diffusers do you have? Can you use/mix different oils right after each other or do you have to clean out somehow? Do you order your rollers and coconut oil to mix from Doterra also? I started getting into oils two years ago and kept it to lemon, peppermint and lavender. Recently branched out into frankensince, calming and thieves for sickness. I love this!!! I'm just getting started with oils and I love learning how different ones are used! Ive been wanting to get into oils for ages but get hung up on which brand is best so Im still waffling. But I will say I use a diffuser with lavendar (my favorite scent ever!) and it puts me in the best mood! So I just placed a Young Living order with my birthday money (haha) this morning and now you have me SUPER excited for all of the different ways to use them!! Saving this! I have a friend that swears by oils, too. After reading your post, I'm even more curious about them. I wonder if there are any good ones for allergies--that seems to be my main problem these days; I've never suffered from them for this long. I love how you opt to use natural medicine before resorting to prescriptions. Even though I use Young Living oils, I love hearing how you use these too! I really need to make a roller ball of peppermint for headaches and use it first before relying on Advil.